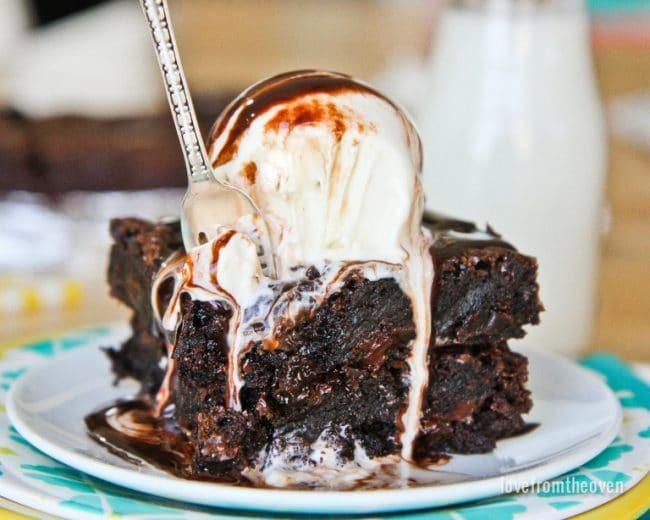 I love a good doctored brownie mix recipe, and if it’s a dark chocolate brownie, self control goes out the window! These dark chocolate brownies are decadent, rich, chewy and FULL of chocolate flavor. They are also incredibly easy. Life is so busy that I’m all about keeping things simple. Simple and delicious. 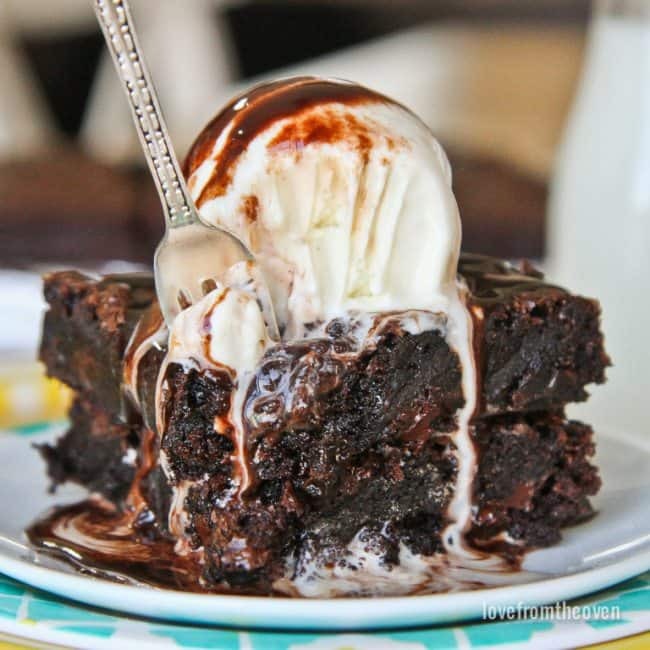 This indulgent recipe is a doctored brownie mix. I know that some people are strictly from scratch, but this busy mama can use all the short cuts she can get. 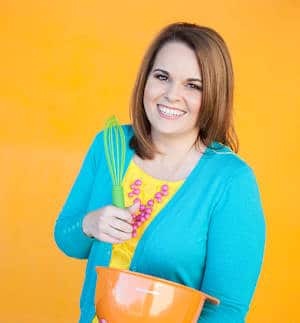 I also grew up on box mix brownies, and I kind of totally love them. That said, with a few simple modifications, nobody will guess that your brownies started as a mix. It’s so easy to modify the recipe on the box to make something extra special. 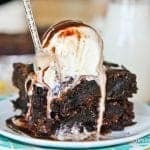 For these brownies I use coffee in place of the water, which gives them a richer, deeper flavor. 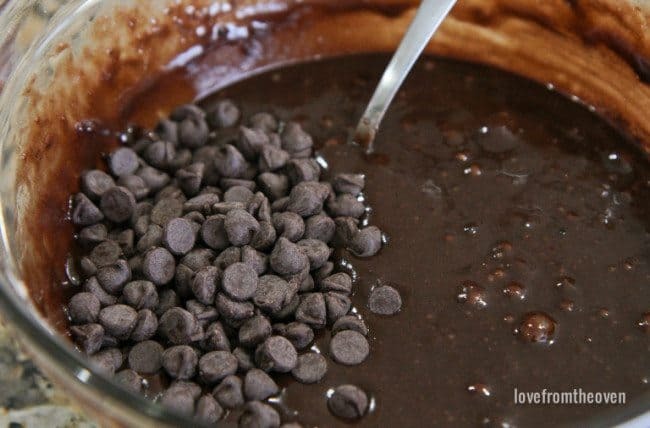 I add 1-2 tablespoons of Hershey’s Special Dark Cocoa Powder, I add in some vanilla and sea salt and I finish them off withHershey’s Special Dark Chocolate Chips. I adore dark chocolate, as does the rest of my family, and I’m a big fan of the Hershey’s Special Dark line. The salt is optional, but I always add some sea salt to my desserts. 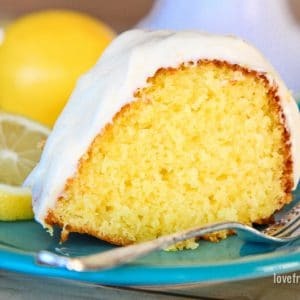 I think that salt really helps balance out the sweetness and creates a more complex and interest flavor in your baked goods. It’s totally your call on adding it though. One of the tricks to making great box brownies is that you have to use a smaller pan than called for on the box to create thicker brownies. 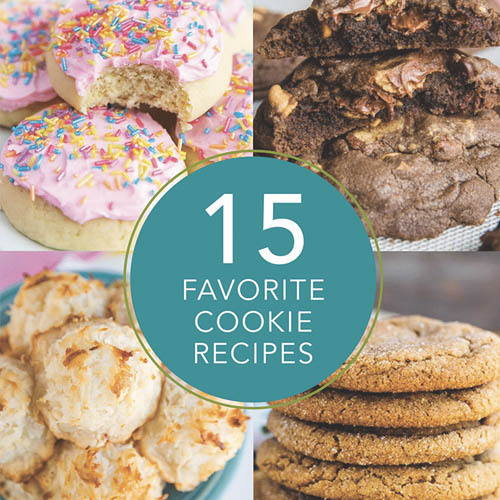 Most 13×9 sized mixes will actually provide you with baking times for an 8×8 pan or a 9×9 pan. If you’ve never sized down your pan for making brownies, I think you’ll be surprised at the results. 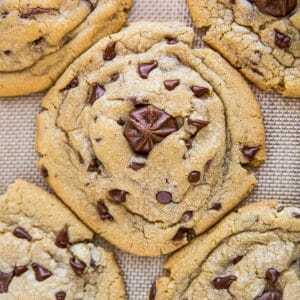 We leave out the nuts as my daughter has a nut allergy, but these would be fantastic with some walnuts or even pecans. Feel free to add them in! I like to line my baking pans with foil, making sure to use enough foil that it hangs over the sides. This allows me to just pull the brownies right out of the pan when done. Super easy. 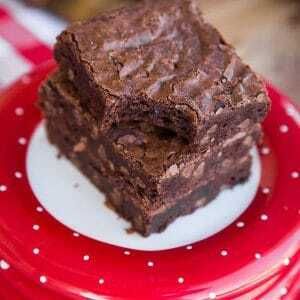 Delicious and easy dark chocolate brownies from a doctored brownie mix. 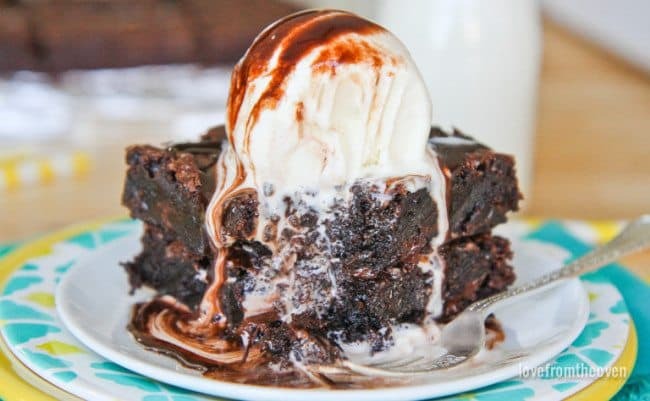 Pour dry brownie mix into a large bowl. Add in cocoa powder and mix until combined. Prepare brownies as directed on the box, replacing the water with coffee, and adding in vanilla, dark chocolate chips and sea salt. 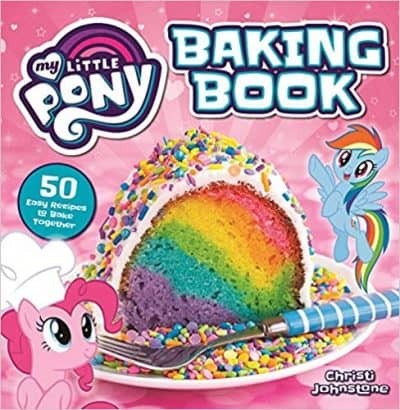 Pour batter into an 8x8 or 9x9 inch baking pan and bake according to package directions (look for the directions specifically for a smaller pan). Remove from oven and allow to cool prior to slicing. Serve and enjoy. You mentioned water (or coffee) but I’m not seeing it in the recipe. How much does the recipe call for? Thanks! Toby, you would be using the coffee in place of any water called for in the recipe. 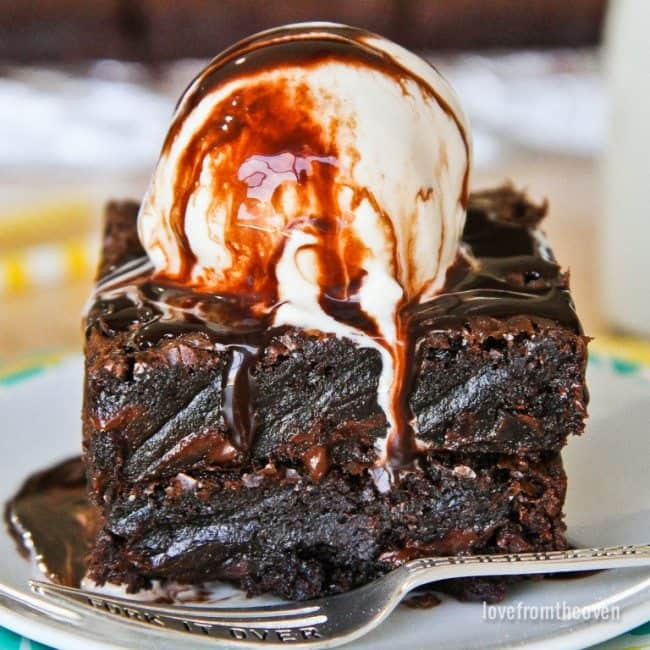 Replacing the water with coffee will really intensify the chocolate flavor in your brownies. 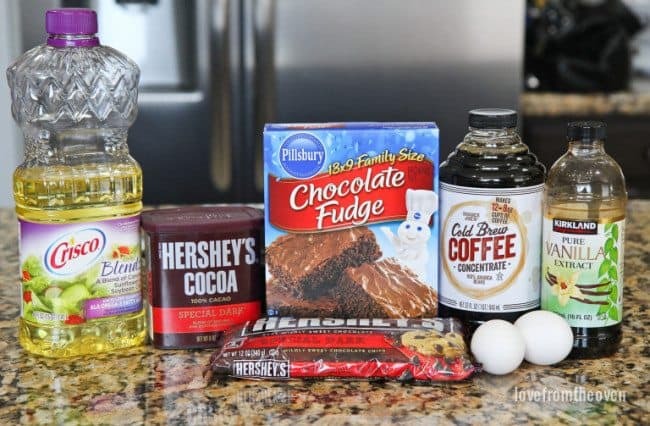 This might be one of the easiest things you can do to totally transform the taste of any box brownie mix or chocolate cake mix. Omg! 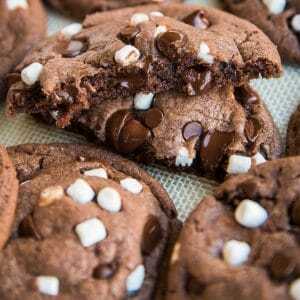 I just put these in the oven! I can’t wait to try them! Thank you for sharing! 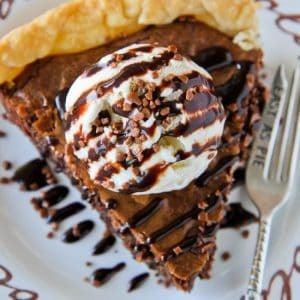 This looks delicious, you’ve made me so hungry! 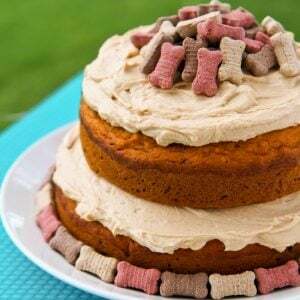 Do you think this would hold up as a two layer cake? 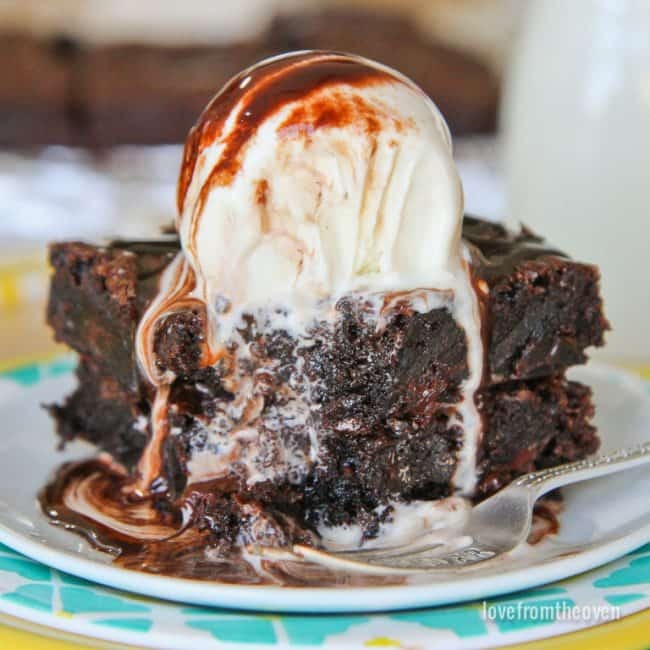 I have a customer that wants a brownie cake and this recipe looks amazing! I hope you enjoy them, Georgia!